At Reid Traditional Schools’ Painted Rock Academy, we believe in offering our students a well-balanced education combined with the opportunity to participate in before and after school activities and sports to round out their knowledge and skills. With this in mind, Painted Rock Academy offers a wide variety of select sports and activities. These activities not only help to enrich our students both academically and athletically, but they also help to promote skills in self-discipline, team-work, self-esteem, camaraderie, and communication, as well as to further their individual talents. Students will also learn to develop character and a strong work ethic as they learn to balance their involvement in sports and activities with academics. 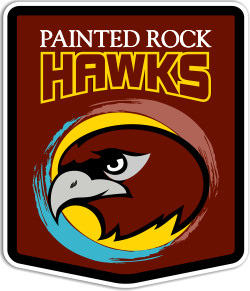 Engagement in sports and activities helps students progress successfully through Painted Rock Academy, paving their way into high school, where they continue to excel in academics, sports, and activities.